Below are some places to take your children to make visiting Prague enjoyable. The former Count's Chambers of Prague Castle house an exhibition of unique examples of old European and American toys on two floors. Collection of classical toys concentrates on the 150 year history of toys made from wood and tin, of dolls, doll's houses, the old teddy-bears, several hundred Barbie dolls, cars, toy trains and many other surprises. Open daily from 9.30 a.m. to 5.30 p.m. during the season. 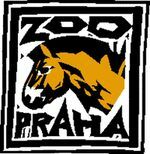 Prague ZOO could easily keep your kids busy for one entire day. Place that your kids will surely love is the Children Area and the Children ZOO, a special built farm, where kids are allowed to enter some enclosures and play with different domesticated animals (rabbits, sheep, pigs, ponies, etc.). The funicular railway is located next to "Ujezd" tram stop and runs along the route Ujezd - Nebozizek - Petrin. The Funicular operates daily from 9.00 a.m. to 11.30 p.m. (April - September) and from 9.00 a.m. to 11.20 p.m. (October - March) with traffic intervals from 10 minutes (in summer season) to 15 minutes (in winter season). The Mirror Maze is situated at the Petrin Hill, next to the Petrin View Tower. It is a remaining of the Former Prague Exhibition Grounds from 1891. Inside there is a mirror maze and the diorama of "Prague student folk fighting against Swedes on the Charles Bridge in 1648". The Stefanik Observatory is located in the very heart of Prague, in Petrin´s parks at the Hunger Wall which was built during the reign of Charles IV in the 14th century. The observatory specializes above all in popularization of astronomy and related natural sciences. Doubtless the most interesting thing the observatory can offer are public day and night observations of the sky which are run whenever the weather is suitable during the whole year. Small river island Slovanský ostrov - also known as Zofín, near the National Theatre, has three competing boat-rental facilities. You can rent a rowing boat or a pedal-boat from April to October. Boats offer impressive views of Prague Castle, Charles Bridge, National Theatre and others from the Vltava river. Prague's largest swimming complex is located near the Vltava River in Vysehrad, a ten minute tram ride from the city centre. Swimming Center Podoli is open all through the year, every day except national holidays from 6.00 a.m. to 9.45 p.m. The Seaworld is a unique permanent exhibition of sea fish and various other species of sea animals. The Seaworld pavilions can be found next to the Exhibition Pavilions in Holesovice. Sightseeing tours by the historical tram No. 91 around the city centre from March to November. 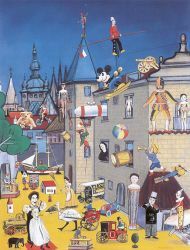 The tram leaves from Vozovna Stresovice every hour from 12:00 noon till 6.00 p.m. and continues through the city center. This is the biggest toy store in the whole of the Czech Republic.